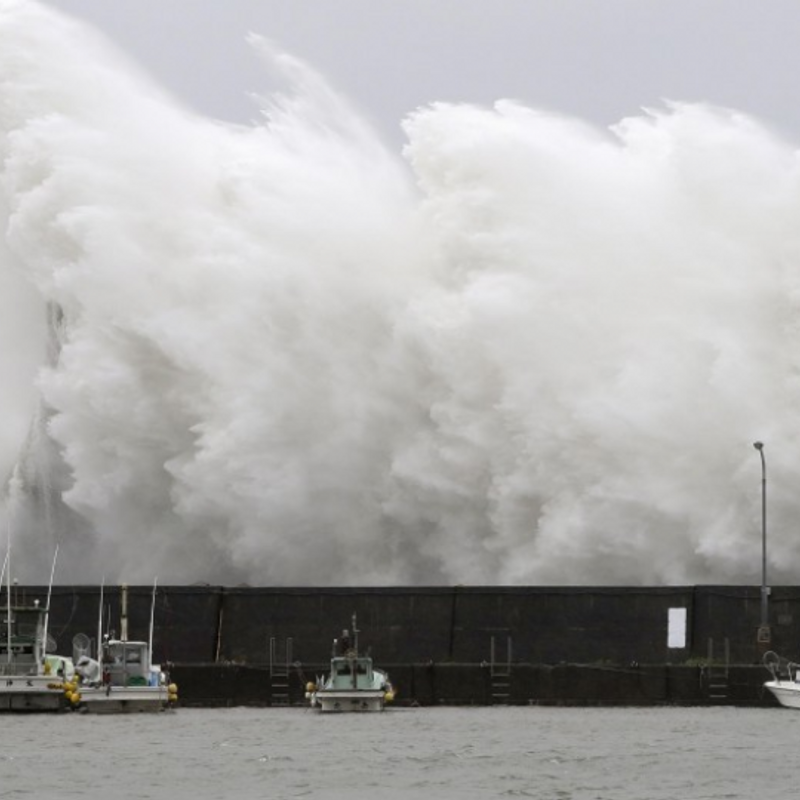 TOKYO - A powerful typhoon is heading toward southern Japan, the weather agency said Wednesday, warning that it may bring heavy rain to wide areas of the country over the three-day weekend. The forecast comes at a time when some regions in Japan are still reeling from another strong typhoon that traversed the archipelago on Sunday, leaving some areas without power. The Japan Meteorological Agency warned of strong winds, high waves and heavy rain caused by Typhoon Kong-rey, the season's 25th, that is forecast to near Okinawa between Thursday and Friday and then travel northeast toward the main southwestern island of Kyushu. Depending on its course, it could affect people's travel plans over the weekend and on Monday, a national holiday. As of 3 p.m. Wednesday, the typhoon was traveling northwest in the sea south of Okinawa at a speed of 15 kilometers per hour, with an atmospheric pressure of 940 hectopascals at its center and packing winds of up to 234 kph, according to the agency. Southern Kyushu and its vicinity could experience torrential rain and see falls of up to 150 millimeters by Thursday noon, while Okinawa may also see up to 100 mm of precipitation, it said. Through Thursday, Okinawa may also face winds of up to 162 kph and waves of up to 11 meters. It is feared the typhoon will bring heavy rain to northern Kyushu on Saturday and possibly to eastern and northern Japan toward Sunday, depending on its course, according to the agency.